I get so busy during the holiday season that I sometimes think my head is going to start spinning and fly off from overheating! Between running Twitter parties for brands gearing up for last minute Christmas sales, writing blog posts, photographing recipes for my blog, researching recipes on Pinterest for ideas to bake up for our Christmas party, and of course…doing my holiday shopping online…because really, who has time to actually go to the mall during this crazy holiday season? Sometimes I am surprised that I even have time to brush my hair with how busy my schedule is right now! And when you throw in a last-minute business trip in between all of those deadlines, well let’s just say things get a little crazy. Thank goodness I can bring along my Intel Tablet with Windows 8 to help me stay connected while on the go! It’s just so much easier to bring with me than the laptop, as I don’t usually check my bags, and it’s easy to get through security without having to remove my tablet like you do a laptop. I love using my Intel tablet when I am traveling because I have all of the necessary programs that I use at home. I even have Microsoft Office, and use OneNote while on the go to keep on top of my crazy work schedule. While at home, I usually have a few blog posts in the works while I am perusing the latest deals on Amazon or browsing online for new recipes to try. I usually have multiple devices on my desk…or when I’m so tired I can’t stare at the laptop screen anymore, I bring the tablet into bed and just work from there. Talk about convenient! Of course my favorite Windows 8 app to use on my Intel Tablet has been Pinterest. It’s where I get so much inspiration for creating recipes for my family, and I’m using it now more than ever as I look for new recipes to bake up for my family for Christmas! After using the Pinterest app, I can easily create a blog post on my Intel Tablet and share it via social media. Or I can just use my Intel Tablet to browse Amazon for a few last minute Christmas gifts…that’s always way more fun than working! Watch out for the #TabletCrew and #IntelInside hashtags as myself and new members of the Tablet Crew share all that Intel has to offer in 2014! 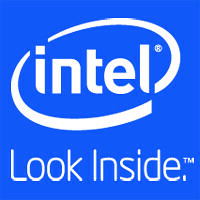 You can find out more about Intel Tablets, including help on how to find the best tablet for your needs, on Intel.com. I recently purchased my first tablet and I absolutely love it. I really don’t know how I ever survived traveling without it. It sure beats lugging my laptop around! I like the size of that tablet – and LOVE that is has all the programs a PC would have. I love traveling with our tablet. It is a lifesaver for blogging on the road. I used to travel with a laptop, so glad I have a tablet to travel with these days!!!! I feel the same way. I love taking a larger tablet with me when I travel. While I’m at home almost all of my time a tablet is super helpful when we are on the go. It’s so much easier than lugging around a heavy laptop! I wish I had a tablet, my laptop is sooo heavy! I have an iPad and Android tablet. I so want to try a Windows one though. There was definitely a learning curve that I had to master, but once I got the hang of it, it wasn’t bad at all. Now I prefer Windows 8 on the tablet and my new laptop over the iPad and iPhone layout with the apps. I don’t use my tablet often. Most of the time the kids use it. However, I like having it at the ready when I am out and about. Tablets are the best for traveling..I use my tablet on pretty much an hourly basis! You can really get by without a computer these days! I know a few people who ONLY have tablets, and as long as it runs Windows, they have Office on there with access to Word! I have a tablet, but honestly, my kids tend to confiscate it and I hardly get to use it at all. I am hoping to grab a new one for my self and soon so I can get some work done while on the go! My sister switch to a Windows based tablet but I’m not too sure about it. You made me think to at least give them a good chance. My husband really wants one of these. I have been debating about it. Thanks for the review! I really need to get one of those (or maybe a laptop). My life would be so much more comfortable if I could work from bed. I really need to get one of those (or maybe a laptop). My life would be so much more comfortable if I could work from bed..
I’d love another tablet. My boys steal ours all the time!! Looks like a super nice one to have though! What a great tablet! I think I need to get myself a “Gift” for the new year! That’s a great tablet for the holidays especially with all the travel. Tablets are so handy for travel – I agree. That looks like a great one!